 Check that all the Smoothwall appliances you intend to include in the system have the latest updates applied. For more information, see Updating the Smoothwall.  Check that you have administrator access to all of the appliances you want to include in the system. 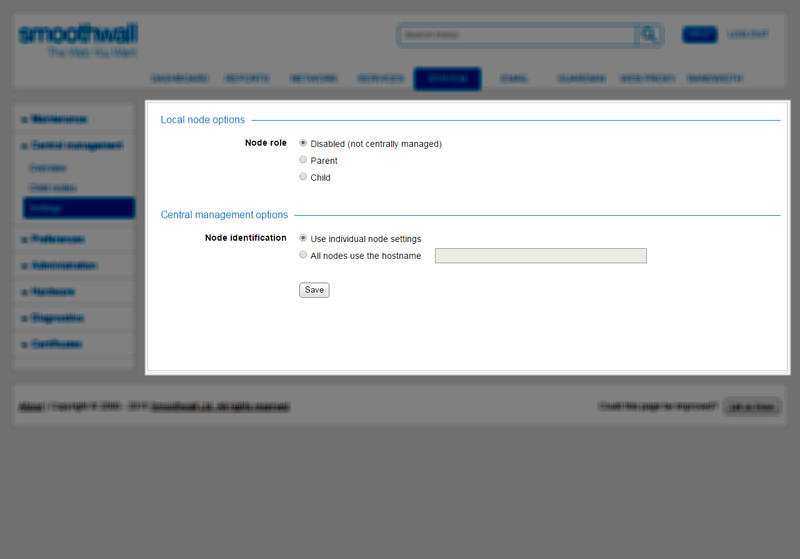  Check that there is network access from the parent node to the appliances that are child nodes in the system. 2. Go to System > Central management > Settings . 7. Repeat steps 4 to 9 above on any other appliances you want to use as child nodes.